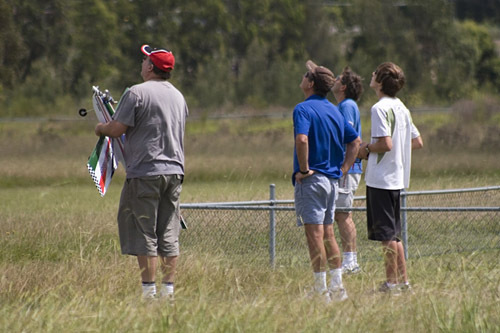 The City Of Maitland Society Of Aeromodellers is a club of some 120 plus members participating in the sport of building and flying radio controlled model aircraft. The flying field is located on 100 acres of land off Raymond Terrace Road and has excellent facilities. A locality map can be found on this website, look for the link in the left hand menu. Members fly every day of the week except Mondays . Major flying days are Wednesday, Friday, Saturday and Sunday. Our flying times are on a notice board at the gate and on the club building. COMSOA flying field is a MAAA Registered field. The club welcomes any new members and has in place a programme, free of charge, to assist in the building of the model and to fully train the beginner until solo competency is achieved. Further assistance and training is also available for flyers who wish to advance to the more skilled and sophisticated silver and gold wing levels. Our club welcomes spectators and prospective members to see the variety of models that are available and to view the manner and skill in which they are flown. If you wish to know, please make yourself known to a member when you visit the flying field, who will gladly assist. Alternatively, phone one of the club committee members whose details can be found in the club details page.